A dashing winger in Collingwood’s losing 1937 and 1938 Grand Final sides. He passed the ball skilfully and read the game well. He played as an amateur and at one stage coach Jock McHale allowed him to miss training so he could attend night school. Because he was an amateur the club put aside money and at the end of his career they gave him a house. 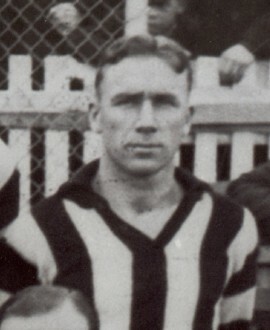 Dowling’s career as an engineer prompted him to return to his amateur football club Ivanhoe even though Collingwood wanted to keep him.